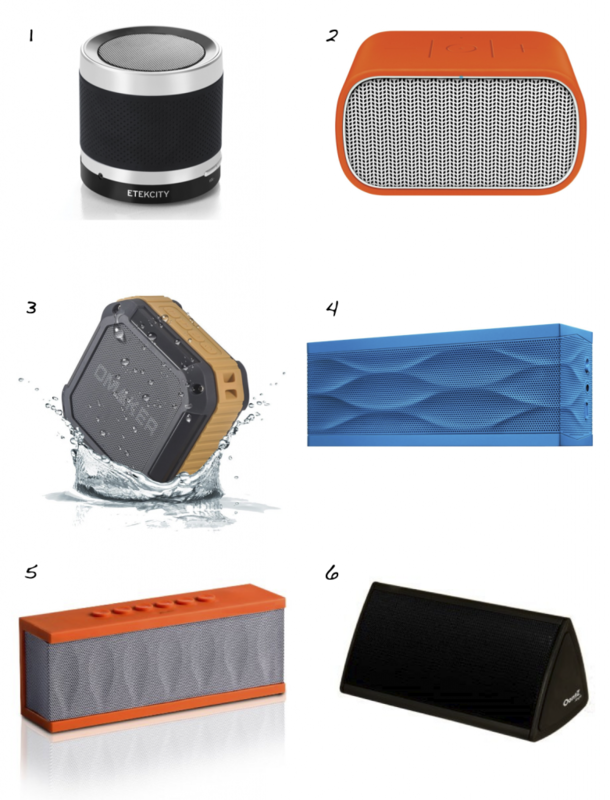 When deciding which portable bluetooth wireless speaker to purchase last week, I compared all the popular models available and narrowed down my options by reviews. These are my top 6! I ended up choosing the Ultimate Ears MINI BOOM speaker (#2) and it worked perfectly for my hiking trip. It took no time to connect to multiple users, it was lightweight and easy to carry in the mesh pocket of a backpack, it didn’t slip off the rocks when we stopped to rest and relax, and had an amazing, clear sound. Next week, I’ll take my MINI BOOM to the beach!